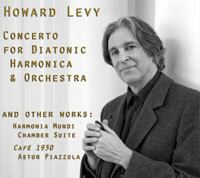 Howard Levy is a musician without limits. His musical adventures include journeys into jazz, pop, rock, world music, Latin, classical, folk, blues, country, theater, and film. He has appeared on hundred of cd’s, won a Grammy (1997), won a Joseph Jefferson Award (1986) for Best Original Music for a Play, and has performed many times on American and European television and radio. Fox Fehling was born in Iowa City, Iowa. She started playing violin at the age of 9, and by age 15 was soloing with The Cedar Rapids Symphony and The University of Iowa Symphony under James Dixon. Her teacher was Allen Ohmes. Fox moved to New York to attend the Manhattan School of Music on a full scholarship, where she studied with Rafael Bronstein and won the Mischa Elman Award. That led to a tour of Italy with Joseph Seiger, Elman’s accompanist. Chévere de Chicago is one of Chicago’s hottest bands. Featuring the finest caliber musicians, Chévere has been a stunning act for years. Balkan Samba has released the Chévere CD, Secret Dream. 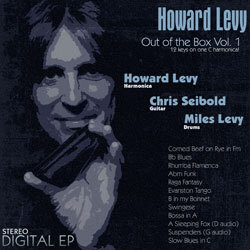 The music is top notch Latin jazz with amazing horns, guitar, percussion, piano, and harmonica.